Now you can see a lot of blog has a Facebook login button. You can also add this to your blog. 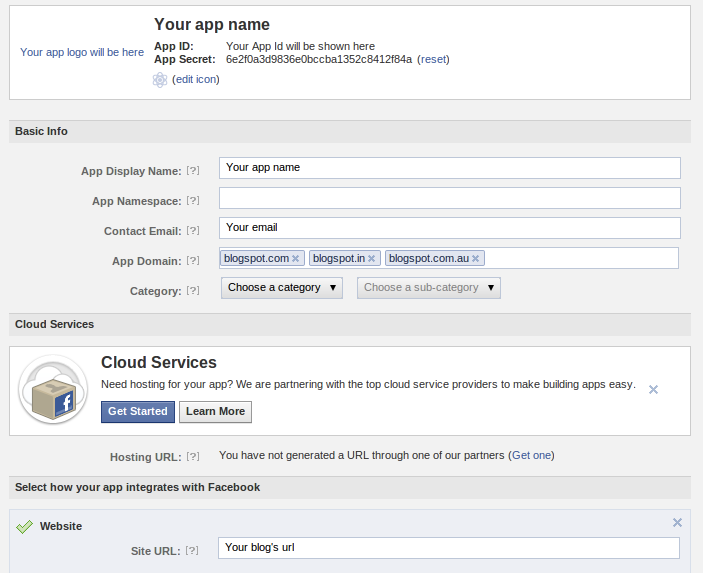 See an example here under Social Login tab. 1st step : go to https://developers.facebook.com/apps and create a new app. Type your App name in App Display Name. You don’t need to type anything on App Namespace. After typing your app name and after clicked on "I agree to the Facebook Platform Policies." click Continue button. Now you should see a new page like this.